Ethelbert Baldwin Crawford was born in 1870 to Samuel Stickney Crawford and Estelle Baldwin Crawford. His father was born in the Ten-Mile-River area and worked as a station agent for the Erie Railroad at Mast Hope, Pennsylvania. The Crawford family had a summer home in the town of Tusten. Ethelbert had a sister Estelle who became a teacher in New York City but died of scarlet fever at the age of 22. Ethelbert’s father died in 1896. Ethelbert worked for the railroad as a dispatcher in the Erie office at Elmira, NY. There is no evidence to conclude that in early adulthood he suffered from a hearing loss that may have heightened his sense of sight. Ethelbert took up painting and painted the places he and his mother visited. They traveled extensively together - first out West and later to Europe. Ethelbert studied painting in New York City with Robert Henri and many of the American Impressionist painters of the time. Several of Ethelbert’s paintings were hung as part of a large exhibit, “The Independent Artists Exhibit” held on West 35th Street April 1-28, 1910. This exhibit included the work of 103 artists, many of whom were Henri’s pupils. Ethelbert also held a one man exhibition in Colorado Springs, Colorado in 1913. That exhibit was sponsored by the Colorado Springs Art Society and included some 89 of his paintings. It seems he had spent up to a year in the West painting prior to the exhibit though the exhibit included scenes of New York Harbor, the Hudson River, Maine Woods and the California Coast. While in Colorado, Ethelbert met Maude Sheridan to whom he later became engaged. Through later letters between Ethelbert’s mother and Miss Sheridan it appears the couple did not marry given his mother’s disapproval of their marriage. This may have contributed to his state of mind prior to Ethelbert taking his own life on August 11, 1921. After Ethelbert’s death, his mother sought to have his artwork displayed in the Metropolitan Museum of Art in New York City. The museum declined to accept her bequest as long as it was conditioned upon the permanent display of Ethelbert’s artwork. Upon her death in 1925, Mrs. Crawford laid the foundation for the purchase of land and the building of Ethelbert B Crawford Library in the Village of Monticello with the understanding that the paintings of her son, Ethelbert, would be exhibited at all times. Her estate involved $27,000 in cash, $17,000 in investments and $55,000 in trust funds for the library, which was built at a cost of $21,000. The new library building project was completed in 1936 with the doors opening to the public September 7, 1936. Beyond the funds provided by the Crawford estate, the Town of Thompson passed a referendum to provide financial support and later the Village of Monticello and the Monticello Central School District also provided funding. The Library receives addition funding through endowments from Mildred Bennett & Mildred Smith. 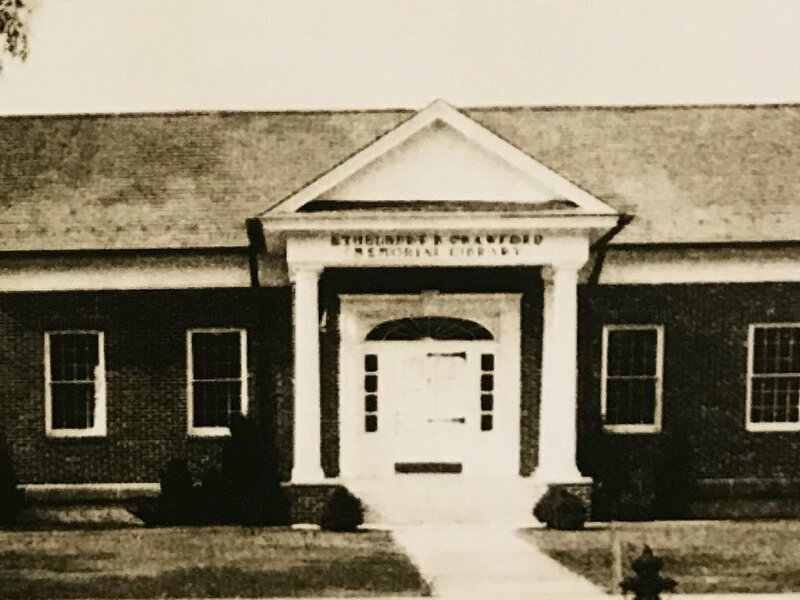 In 1992, the Library became a “Special District” public library and as such was renamed the Ethelbert B. Crawford Public Library. Special District status allowed for the collection of a library tax annually as opposed to the solicitation of funds through a variety of sources as had been done prior. 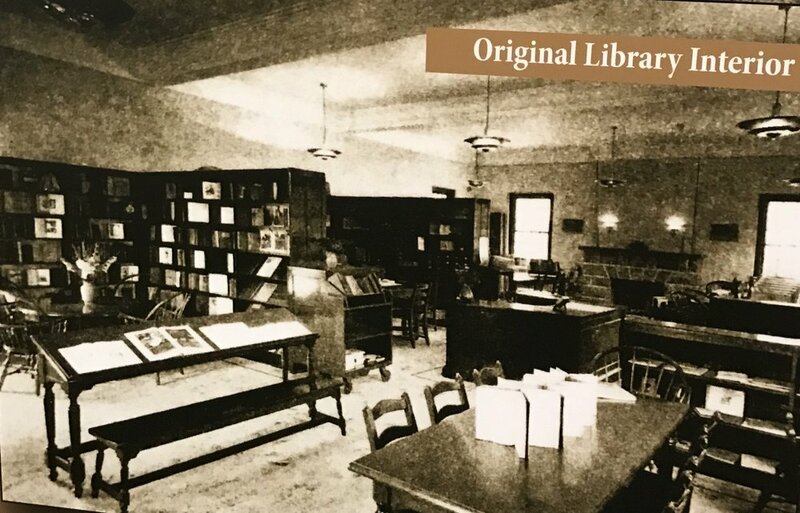 For 20 years, Library board members explored many options to meet the space challenges the original building presented for a Library that now served over 18,000 people. In 2012, the public approved a referendum to buy and renovate the old Davco building.